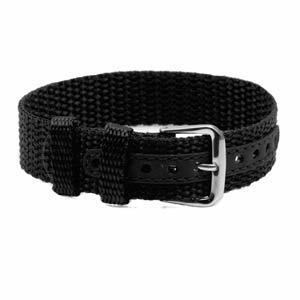 Our black polyester sport strap features a 316L stainless steel buckle, and works with the plaques shown on next page once you add item to cart. Whether wearing it with a plaque that bears medical / emergency information or a personalized message, men, women, and children can enjoy this bracelet's basic, yet versatile, design. 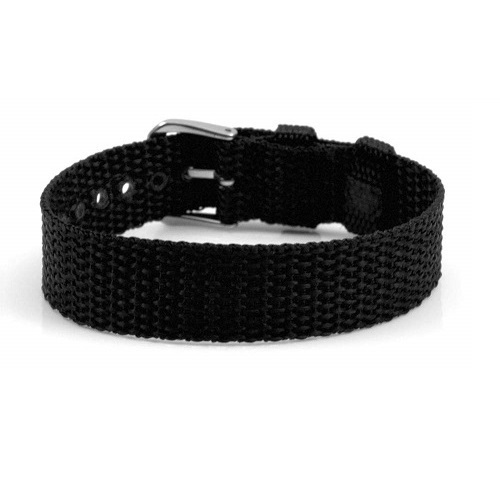 It adjusts to fit 5 1/2 to 8 inch sized wrists.